You don't need experience to make simple sulfur candles, but attention to safety is a must. Sulfur candles are the old-school method of fumigating a greenhouse. 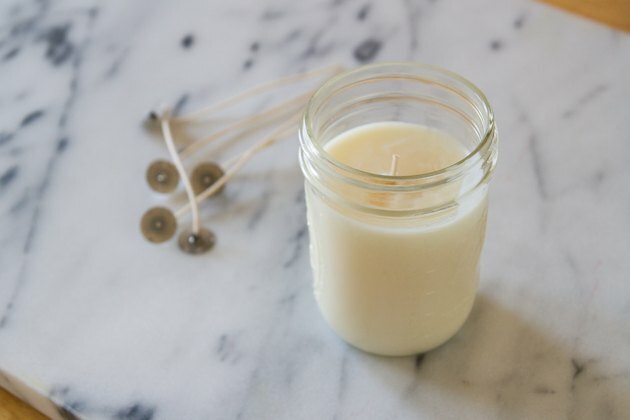 The chemicals expended from the burning candles make their way into the crevices and cracks chemical foggers do, but at little environmental cost -- sulfur candles are organic if you make them with organic beeswax. Although beeswax sulfur candles are better for the environment than pesticide foggers, they're just as harmful to your lungs and mucous membranes, so gloves, goggles and respirators are mandatory. 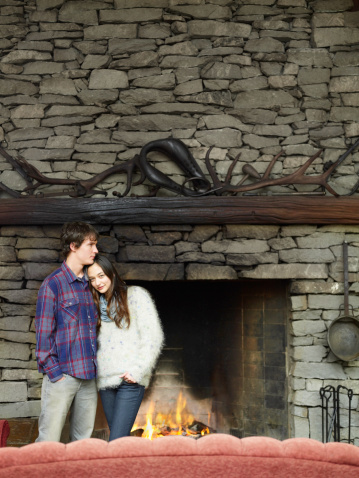 Light an outdoor grill or portable outdoor stove to operate with medium heat. 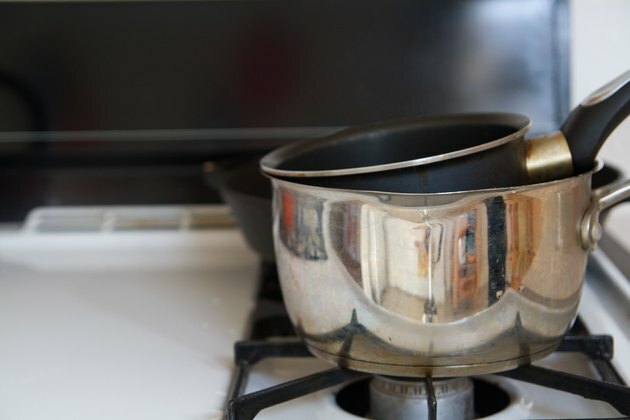 Set up your double boiler -- one stainless-steel saucepan nestled inside the other -- and place it on the stove. 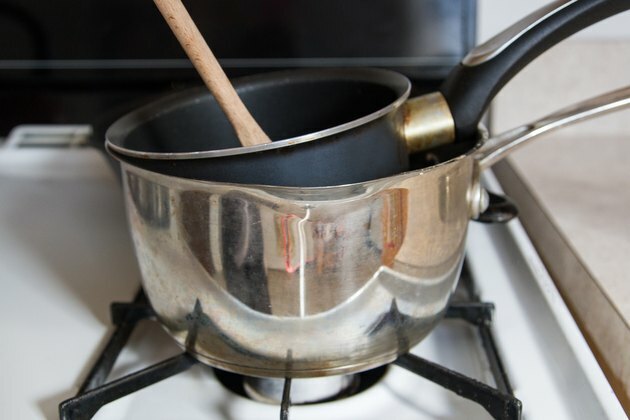 Use enough water to reach half to three-quarters of the way up the sides of the upper saucepan. Cut the filtered beeswax into 1-inch chunks and add it to the double boiler. Place a 1-pint canning jar on a stable heatproof surface. Alternatively, you can use a pre-wicked conical candle mold. 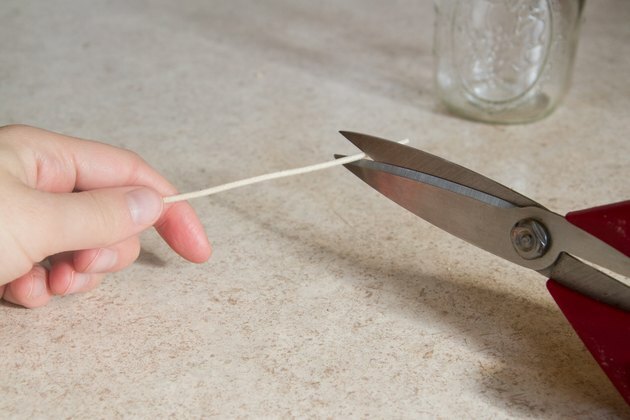 Cut a square-braided number 10 wick from the roll; cut the wick so it measures about 4 or 5 inches longer than the depth of the jar or mold. Tie one end of the wick around a pencil. 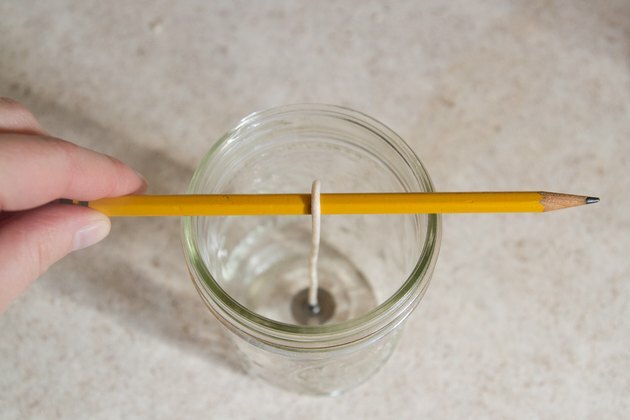 Lower the wick into the center of the jar and place the pencil across the top of the jar mouth. You'll cut the wick and pencil away after the beeswax hardens. 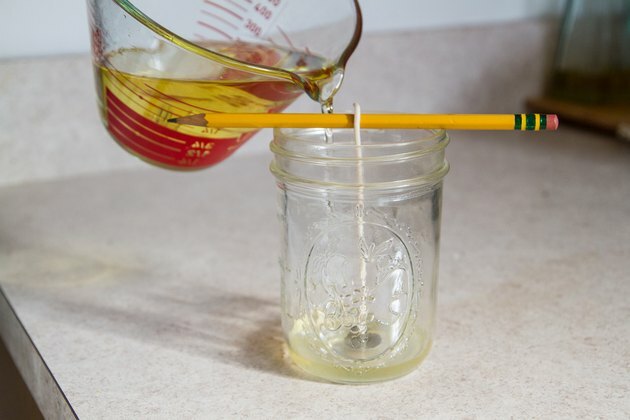 Stir the beeswax with a wooden stirrer. A paint stirrer works well. Sprinkle 1/4 pound of elemental sulfur into the beeswax and stir it vigorously until incorporated, about one minute. Wear lab goggles, gloves and a respirator mask when you work with flowers of sulfur. Pour the wax into the jar or mold using a heatproof measuring cup, allowing 1/2 inch of headspace. Let the wax cool completely, about six to eight hours. 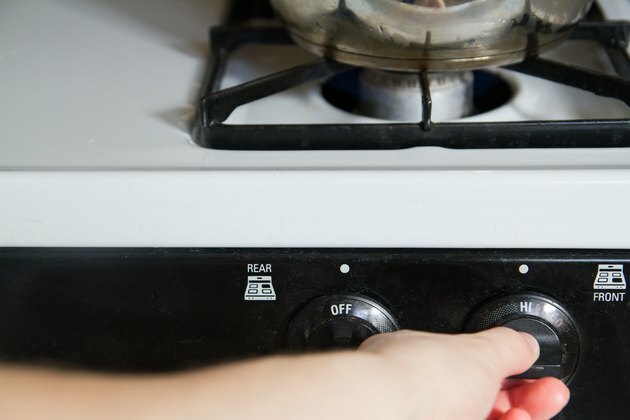 If you used a mold, place it in the freezer for 24 hours after it cools, and then remove the mold. 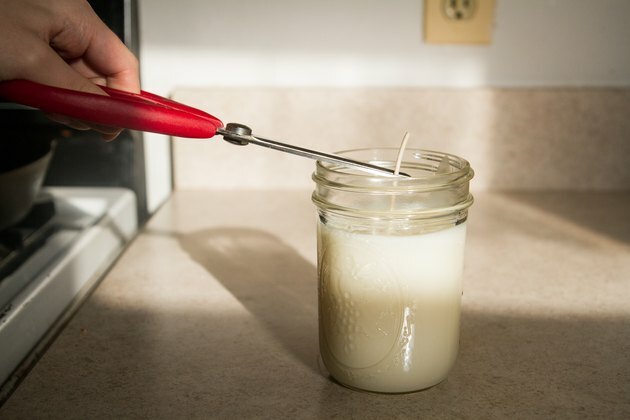 Cut the top of the wick from the candle, leaving at least 1 inch extending from the surface. Why Do White Candles Burn the Fastest?